Antoine de Saint-Exupéry’s beloved 1943 novella, “The Little Prince™/Le Petit Prince®,” is one of the most successful children’s books of all time with over 200 million copies sold. 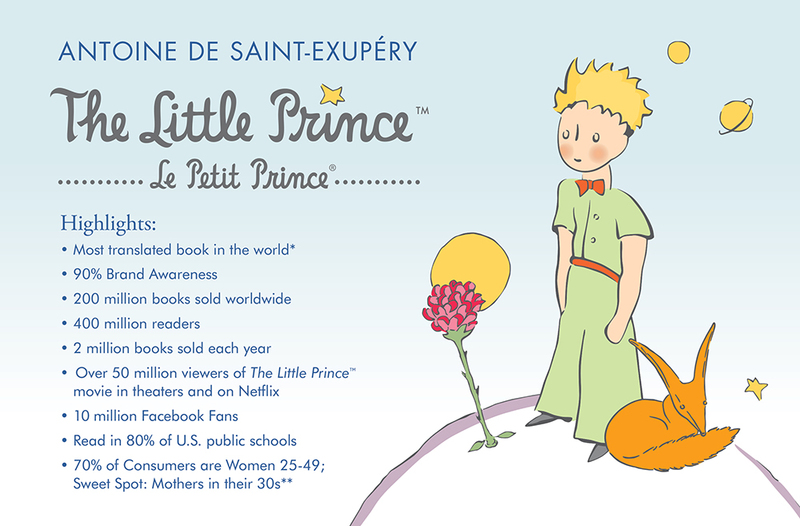 First published in the U.S., The Little Prince is the most translated book in the world after the Bible, with over 300 official translations and has more than 400 million readers. Over 2 million copies of the original book continue to be sold annually! The worldwide continued success of the classic book has evolved into a very unique and appealing brand, reaching a broad audience drawn to the global values of humanity, concern for the environment, the specialness of childhood, love and friendship. The most-translated non-religious book in the world expands into new product categories for 2019 and beyond! An extensive collection of new licensed products is being introduced in 2019 to delight fans across North America and around the world. NETGEAR offers content art packs as well as a custom interactive “story” so fans on their Meural cutting-edge smart art frame can interact with The Little Prince'” signature content using gesture control, voice control, mobile app, or web. Available beginning in February at Meural.com. Soxnet brings women’s and children’s socks sets to market, including traditional knit and digitally printed designs. Available mid-February on Amazon.com. Sack Me! launches three styles of plush security blankets based on the best-known characters in The Little Prince'”. Available at sackme.au. Metcolors introduces a line of framed art and decorative pillows to home decor and mass market retailers throughout 2019. Moonlite, the bestselling storybook projector from Spin Master introduces The Little Prince'” and The Fox and the Rose – A Story of Friendship, in an exclusive adaptation of the traditional story combined with HD projection, sound effects, and read-a-long features, transforming story time into a magical experience. On-shelf date is February 1, 2019. Available at Target, Amazon and other retailers. Finn and Emma introduces a beautiful collection of socially-responsible and heirloom quality infant and toddler apparel, bibs, teethers, and blankets. Available at Macys.com, specialty boutiques and at FinnandEmma.com fourth quarter 2019. Golden Bell Studios is developing an exclusive card game dedicated to appealing to The Little Prince'” fans for fourth quarter release. The Little Prince / Le Petit Prince® ©Antoine de Saint-Exupéry Estate 2019. Interested In Becoming A Licensee? 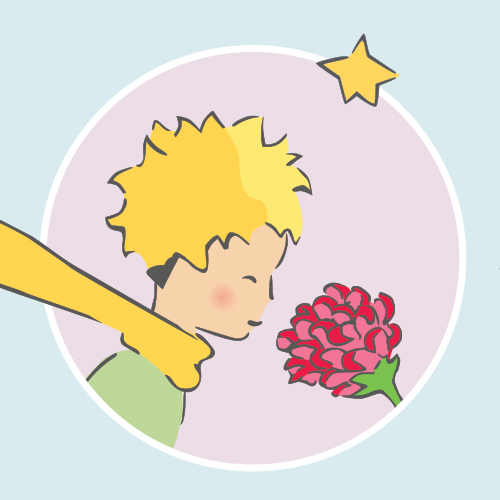 The Little Prince In The News!